I’ve always believed that artists who are part of a community make stronger works, and that the interaction between different disciplines can be an invaluable source of inspiration. Since its inception, Naviar has been a point of intersection between poetry and music, and home for some of the most creative and courageous musicians woldwide: without them this project would not exist, so please make sure you visit our contributors’ page and support some of these talented artists. If you think Naviar has benefited you in some way, or believe this is a project worth supporting, consider becoming a member with a monthly or yearly contribution: by subscribing you’ll gain access to Naviar’s entire catalogue and all future digital releases. 50% of your subscription will go directly to the artists who released music under Naviar, and the rest will be used to release more music, make better events, expand our network and find more creative opportunities. This is a way for the most generous fans to directly sustain the future of Naviar.  Alternatively, you could also become a one-time supporter with a single donation in any amount when you download one of Naviar’s free compilations. – Your name will be included in our special Membership page and in all the publications credits on Naviar’s website from the moment you subscribe.